When your baby begins to crawl around by himself, you can be assured of a devoted follower. Bathroom doors are no longer closed, and every task requires a creativity you may never have thought you had. Two of the most important characteristics you can develop to help you stay relaxed are keeping a sense of humor and understanding the impermanent nature of childhood stages. When your child gets on his feet, the roles reverse. You become your child’s devoted follower, for heaven knows what he is going to get into next. A “childproof” house is essential, so that you can be assured there is not much in harm’s way. Great playthings include household items without potential for harm. At this later toddler stage, you can add other creative options. Young ones love to emulate you, so miniature versions of your cooking and cleaning supplies can be helpful; while you’re making dinner, the little one can be at your feet stirring her own pot. Plastic bowls that fit inside one another make for hours of fun, as do the same kind of containers with easy-fit lids. Your child can practice putting things in and taking them out. Big boxes from moving companies with holes cut out for windows make great disposable playhouses. Paper towel tubes can make marvelous toys, as can large paper bags and other things that are free, recyclable, and don’t present a hazard. You can keep a stool handy for little kids to help at the counter, and whenever possible let them pour their own drinks from a tiny pitcher into a tiny cup during mealtimes — cultivating coordination as well as a sense of involvement. One project my kids always loved was making their own Easter baskets. In February, I bought cheap baskets at a large craft store, and a bag of soil and some grass seed. We lined the baskets with foil and my kids, using small plastic bowls or cups, added soil almost to the top. Then they sprinkled grass seed on top, and covered it with another small layer of soil. They put their baskets on the seat by the bay window, and watered them with my sprinkling can every other day. When Easter came around, the baskets were full of beautiful green grass. The night before Easter Sunday, the Easter bunny came and filled their baskets with treats, covered them with Saran wrap, and hid them. I dipped the end of my fingers and thumb together into some brown paint, and placed bunny footprints all over the place. You can get big buttons and sew them on pieces of felt, cutting buttonholes in another piece, and let your child play with buttoning things. Purchase or make a cardboard sewing toy, with holes in the board and a big plastic “needle” with yarn. Kids love to help out. Saying yes to those offers is more important than we might imagine and helps us raise kids who are more likely to take on household responsibilities as they get older. Rather than toy versions of tools, get them appropriately sized real tools (to use with supervision). You can get plenty of useful, not-too-large tools at your local hardware store. As kids get older, invest in adult-sized tools they can use for a lifetime. Starting at four years old they can have woodworking tools and access to scrap wood. If they love to turn machines on and off, You can get them a hand vac as a gift. They’ll use it for years, immediately on the scene to vacuum up crumbs like a man on a mission. I saw a video once where a baby was giggling, bouncing with joy as her father ripped a piece of paper. She apparently thought that was hysterical! Who needs toys? At this age constant supervision is a must. Observing your toddler is fascinating and can teach you a lot about being present. See how totally in the moment she is, how complete her concentration can be when she is involved in an interesting task. At this point, she will often wander back to home base (you) to touch in, making sure that you are still there, that continuity and safety are maintained as she begins to widen her interest in exploring her environment. These are the months and years of practicing what in the great spiritual tradition of India is called madhuvidya, or “sweet knowledge.” This means simply the realization that all is one; no one activity, person, or time is more important than another. This may be the only period in your life, for a very long time, when you have the chance to learn about this so urgently, for as your children grow, you all get busy with worldly life and with others. When you know that in some sense you represent the Tao, Infinite Consciousness, God to your child, you can begin to deepen your own relationship to your spiritual base. Thus, your observation of the relationship between yourself and your child can teach you a lot about Oneness. What kind of God do you believe in? How do you want God to relate to you? Is God all-loving, all-forgiving? Does God love you unconditionally? Do you want to be lifted up when you fall? Do you want your prayers answered? Do you want help to find and empower yourself, your destiny, and your dreams? Do you want your Higher Power to listen to you patiently and comfort you, not leave you alone to tough it out? That is what a parent needs to be for his or her child. As you practice being that way, you begin to realize you have a greater — some say higher or deeper — power in your life that cares for you in the same way. So, to practice being the Tao for your child every day brings you closer to God (a thousand names for the force that guides the universe), and also helps your child stay connected to the spiritual source from which he has come. The precious toddler years are a time for this level of spiritual learning for parents. Often your toddler needs you to simply witness him play; you may sometimes feel like you are doing nothing, and impatience can set in and grow. In many other countries where extended families live together, this is when grandparents come in to provide the patient, observing, teaching witness a child needs. In western countries, parents are required to be both this slowed down, tranquil, in-the-present witnessing “master” and the busy manager of the family. It’s a daunting job. For the sake of your child’s and your own spiritual growth, take time every day to be in the present with your little one. It is more important than the seemingly urgent things that call you away. When you are old, these seemingly empty moments are what you will remember as real. Remember, as the Taoist masters do, that relaxation is fullness, not emptiness. What is real remains, the rest falls away. As children grow, and especially when more children come, life gets more hectic and relaxation takes on a different quality and meaning for parents. 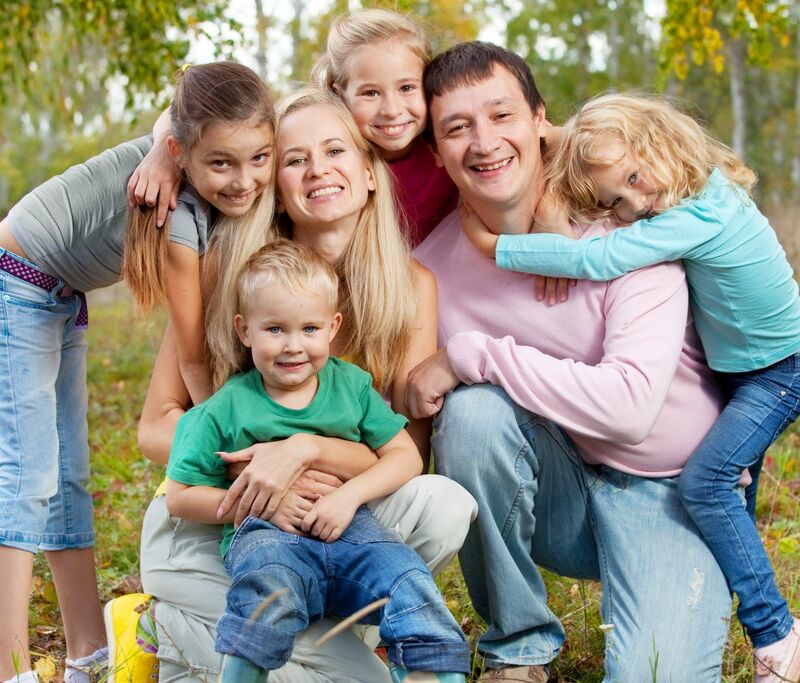 In my circle of friends, I noticed that the most relaxed parents were the ones who happily had four or five kids! By then, they had surrendered. While their households were messy and noisy, and one or the other parent was always in the car, driving kids to various practices and functions, there was a kind of flow to the chaos. Perhaps these parents had found the “zone” where one thing just flowed into another, where all was included, and they realized it was useless to sweat the small stuff. I studied these parents to learn that art. Somehow these parents always found time for their relationship, and each of them had outside interests they continued to cultivate through it all. The only way they were able to do this was to have a strong sense of mission, to understand the importance of balance and role modeling, and to consciously, each week or month, make decisions as to what they would and would not do, what they were willing to forego in the short term for their long-range mission: a happy family. I also knew stressed-out parents who never took time for themselves and each other. Creating a happy family takes parents committed to certain kind of mission and lifestyle, and often, while we start with the best intentions, at some point we lose focus, drift apart, allow betrayals to fester into permanent rifts, and divorce to happen. Some people are better partners than they are parents, and vice versa. Some can do both smoothly. The Tao teaches us to accept it all and try to attain a level of relaxation through all the changes life brings our way. If you are on a path of spiritual attainment, it is bound to bring you changes you are not at all comfortable with, changes that naturally tighten your defenses. When I was pregnant with my first child, I had been meditating for years, four to six hours a day. I realized as my pregnancy progressed that I would no longer have hours to sit in meditation alone and in silence. Everything had to change. After trying to figure out how I could still meditate in the way in which I was accustomed, my baby was born — unless I relaxed and accepted big changes, I was bound to be unhappy. began to think, I will be all-knowing, unconditionally loving, I will be a guru to this child; I will represent God — the Way — the Tao. Knowing this prepared me for parenting in a way no book could prepare me. My meditation took a back seat. It was time for me to learn madhuvidya — meditation in action. My mothering became my meditation; I was God to my baby — he was God to me. The practice then is not to ward off change (which is impossible) but to notice when change is causing you to tighten. At those times, consciously allow your body and mind to relax and slow down enough to understand the deeper reality and make better decisions. Let your children know this is what you are doing, and you can teach them to relax as well. Babies show you clearly that from the beginning, change is stressful. You can model a relaxed way of handling change, and you can teach your baby how to relax. This is one of the many benefits of infant massage; you must relax and slow down to be with your baby in this way. Part of the massage routine (Touch Relaxation) is teaching your baby to relax his body when you touch him through conditioned response. In Taoism, it is important to keep an awareness of emptiness. That is, what is not there is as important as what is there. The t’ui who circle is a calligraphic meditation on this subject, in which the student makes a circle with a calligraphy pen and meditates upon it. Without the emptiness of what the circle contains, there is no circle. So it is important to pay attention to what is not happening as well as what is. A child’s silence does not mean he has nothing on his mind. Make a physical connection through massage and relaxation at bedtime to facilitate talks with an older child. Especially if you have massaged your kids as babies, giving them nightly massages creates an atmosphere of trust. If your child needs to cry or express fear, let her; assure her that what she feels is natural, that she is always guided and protected, and that it is okay to cry sometimes, to let out tension, frustration, fear, or grief. Be the Person Your Child Confides In | eHow. Throughout a nine-year time period, researchers tracked 184 teenagers from a public middle school in Virginia. The study began when the participants were 13-years-old and continued until they were 21. The group assessed the adolescents’ relationships with their parents to determine its relationship to the development of autonomy and relatedness with their friends and romantic partners. The parent’s use of guilt, shame, withdrawing love or cultivating anxiety — all examples of psychological control — set the adolescents on a long-term trajectory toward badly functioning relationships in the future. During each assessment period at ages 13, 18 and 21, researchers asked the participants about their psychological health, their values, their parents’ conduct and their relationships with their friends. As the participants matured, the researchers began adding more questioning pertaining to their romantic partners. Regarding their parents’ behavior, the participants were asked to assess the degree to which their mothers and fathers used guilt, anxiety, love withdrawal and other manipulative methods. The group created another phase of the study that simulated real-life interactions. At each assessment period, the participants were placed in a video-monitored room and were given an activity or question that forced them to disagree. At age 13 for example, they were told that 12 people were stranded on Mars and only seven would fit on the ship returning home. The adolescents separately picked the seven people and later came together to discuss disagreement and come to a decision. Once the participants were 21, they discussed real-life issues in their relationships, such as money or budgetary problems, jealousy and communication issues. Researchers used a coding system that indicated expressions of reasoning and confidence — a sign of autonomy — and warmth and collaborativeness, a sign of relatedness. As predicted, the researchers found that parental psychological control ultimately undermines the youth’s ability to properly express autonomy and relatedness when in disagreement with close friends and later on, romantic partners. This shows the importance of the transitional period from early adolescence to adulthood. “The transition period from early adolescence to early adulthood is the time when the peer group matters more and determines how they’re able to navigate those relationships and the expectations going into new relationships,” Hessel said. Even young children are experts at detecting hypocrisy. Acting as if you have no flaws or problems can seriously damage the communication between you and your kids. “Be Yourself” sounds simplistic, but having an awareness of who that is requires you to be thoughtful and slow down, accepting yourself for who you are, where you came from, and what you truly believe. Constant praise unconnected to behavior can inflate children’s egos so that they get a distorted picture of themselves and become devastated by mistakes, flaws, and being just “one of the team.” A child who is praised too much in a superficial way cannot handle being a “simple dandelion,” even if that is what he is meant to be. — “The teacher told me how nicely you shared the toys today. That makes me feel so happy. You’re very considerate.” (You may have to define “considerate” — a great opportunity to continue the conversation and teach a new word). Usually the child will then open up and try to tell you what is going on. Sometimes sharing your history, in small doses, can help your child feel not so alone. Let your child know you had similar experiences and feelings at his age, if it is true. It can be a relief as long as you don’t go on and on or suggest that you know exactly how they feel, because you do not. Show a genuine curiosity about your children’s feelings and experiences. If they don’t expect a lecture or judgment, they will open up to you. Never interrupt them! This is not an easy lesson for parents to learn. You’ll find yourself blowing it again and again. But you can always go back to your child and say, “When we talked I really blew it. I jumped in with a boring lecture instead of listening to you. I hope you’ll give me another chance.” Recently, I had this scenario with my 36-year-old daughter! Still learning! Self-concept is the image we hold of ourselves — of our abilities, our nature, qualities, and typical behavior. This is formed in our earliest years by what we hear about ourselves through those closest to us. In essence, children come to see themselves the way their parents and caregivers see them. Therefore, when they consistently get the message that they are “bad,” “naughty,” or “stupid” or that they “act like a baby,” that message is internalized. Because self-concept determines behavior, children will act out how they feel inside. A child who believes himself to be bad will, therefore, exhibit bad behavior, often causing the parent to pile on more shame in an effort to control it. The cycle perpetuates. We have a habit of reducing children to nothing more than behavior, and we treat only the behavior we see rather than treating the human being behind the behavior. When we are focused on only treating behavior, we may be quick to dole out punishments or use shaming tactics to gain compliance. When we are focused on treating the human being, we are able to empathize, teach, and guide the child to better behavior. This is obviously a healthier approach, but it takes more time and effort. Shaming is quick and often effective, so don’t be fooled into taking the easy way out. There is a valuable, worthy human being behind that behavior. Self-concept can be defined as the view one has of herself and her abilities. A child’s self-concept begins to develop at birth. It begins with how adults respond to her. Parents and caregivers create a positive emotional bond with an infant through warm and caring interactions. This positive emotional bond with parents and caregivers promotes a child’s healthy self-concept. As the child grows, her ability to interact successfully with her environment nurtures a healthy self-concept. This is critically important in early childhood. The development of a positive self-concept at an early age empowers the child to feel competent, try new things, and strive for success. As parents, we have the opportunity (and responsibility) to nurture a positive self-concept in our children. Shame abandons — encouragement believes. Condemnation paralyzes — compassion frees. Exasperation quits — patience prevails. Yelling silences — communication opens up. Blame hurts — grace heals. Fault-finding destroys — praise builds. Rejection loses — unconditional love wins. 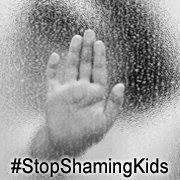 Shame has long been wielded as a powerful tool to modify a child’s behavior. When made to feel unworthy, children will usually try harder to please their parents, giving the illusion that it’s “working,” but those feelings of worthlessness cause deep scars which can take a lifetime to heal. Shame isn’t only common in abusive homes, but is generally an acceptable form of “discipline” in your average “nice” family. Shaming includes verbal comments such as “stop acting like a baby,” “you naughty child,” and “are you that stupid?” as well as the unfortunate trend in public shaming and social media humiliation. 1. Be mindful of the language you use to describe your children. Do not label them with words such as ‘lazy’, ‘naughty’, ‘aggressive’ or ‘mean’. Instead, look for and point out your child’s strengths. 2. Provide them with opportunities for success. Give your child age-appropriate tasks she can complete on her own. Having done so will give her a sense of pride and help build a “can do” mentality. 4. Spend time together. A vital part of having a healthy self-concept is feeling loved and valued. Spend this time doing something fun and enjoyable for both of you, and avoid criticisms or lectures during this quality time. 5. Support your child’s interests. Learn what your child is interested in and support him in mastering that skill or accomplishing his desired level of achievement. Feeling competent and good at something grows a positive self-concept. 6. Set reasonable rules and enforce them with lovingkindness. Your rules should be age-appropriate and clear. These help your child to feel safe and learn how to manage herself. However, enforcing them with a heavy hand when your child steps out of bounds can actually erode the self-concept. It’s important to make sure your child knows that mistakes are a part of life and doesn’t mean she’s a bad person. When giving consequences, keep your child’s dignity in mind. 7. Help your child to manage his emotions and work out problems. This is why problem-solving is such a big part of positive parenting. When children learn to solve their own problems, they build confidence and, therefore, a positive self-concept. Learning to manage emotions is key to having the ability to step back from a situation and view it objectively. 8. Maintain a connected relationship. Being connected keeps the lines of communication open, and this is especially important as your child grows into adolescence. Knowing that she has you to talk to, that you will listen without casting out immediate judgment and you will take her feelings seriously, will help her to feel supported, safe, and important. 9. Give her the opportunity to explore her environment, ask questions without feeling like a nuisance, and engage in make-believe play activities. Children are curious and imaginative, and we must be careful not to squash those traits. To nurture curiosity and imagination, allow ample time for free play and exploration. 10. Acknowledge effort and offer encouragement. Children need to know that first place isn’t the goal, but that personal best is a win, no matter what place that lands them. As she grows, her own self-evaluation will become important to her self-concept, and she needs to learn how to emphasize her strengths and accomplishments, even if there is no trophy in the end. A healthy self-concept is the foundation for the positive development and the over-all well-being of a child. When a child has a healthy self-concept, he sees himself as being loved, loving, and valuable, and that’s what we all want for our children. To help your child find himself, first, BE YOURSELF. Listen and observe. Give her feedback about what you see in terms of what she is good at, what seems to make her feel happy, what traits seem to come naturally. In this way, you help her build a solid sense of self from the beginning, so that she is not afraid to follow her own drummer, and rarely falls into the self-esteem destroying trap of comparing herself with others. Opportunities for building self-esteem abound. For example, when your child expresses admiration for someone (a teacher, sports figure, super-hero), you can ask him, curiously, “What is it about him you admire the most?” Open-ended questions help the child clarify in his own mind what his opinions, desires, goals, and wishes may be. Though this post is about young children, it really goes for your kids always. Even as adults, they’ll count on you to listen and continue to give them positive feedback about their positive behavior and not flip out about what you perceive to be negative. When we look at the analogy of flowering, we remember that flowers don’t bloom until near the end of the plant’s life cycle. This is especially pertinent these days, when we live so much longer than our ancestors did, when people have several careers and maybe even several families. Blooming, going dormant, and blooming again is a realistic paradigm for how our children’s lives and our lives are likely to be. It is our job to assure our children that they have many choices and that they never have to settle on just the one thing forever. Rather than pushing them into what we want for them, we help and support them as they try out many things and go with what brings them joy. Pregnancy, birth, and infancy are periods when you are required to make many decisions; sometimes it can be overwhelming. You get so much advice and input from relatives, friends, books, blogs, and experts that you can lose track of what your inner guidance is trying to tell you. Using Principles One and Two (Relax and Slow Down) can help you and firmly rooting yourself in Principle Three (Empower) can help you have the “sinking power” you need to communicate with others. Be Yourself requires that you act in accordance with your own deeply held values. Only you can decide, according to what feels best to you, whether you give birth at home or in a hospital or birthing center, choose to immunize or not, breastfeed or not, whether your children wear natural fibers or not, whether or not you choose day care, how to discipline and communicate with a toddler, and so on. After doing your own research about the issues, make your decisions from a deep inner place that makes you feel like a good parent, instead of simply going with what your parents tell you or with the current cultural flow. Over and over again, it has been shown that the current cultural flow is often wrong. At one time it was common and accepted to give babies opium to keep them quiet. At one time, mothers were told to wear masks and not to breathe on their babies or breastfeed them for fear of “contaminating” them. At one time,parents were told not to respond to an infant’s cry for fear of “spoiling” them. At one time, it was widely believed that babies didn’t feel pain and that they could not see or hear in the womb or for the first weeks of life. Take the experts with a grain of salt, and listen to your own heart about what is right for you and your family. Refrain from judging other parents and their decisions for the same reasons; you are not in their shoes. Before you birth your baby, you may envision yourself calmly and blissfully being a parent; or, you may be terrified that you don’t know what to do with this new human depending on you for its very existence. It is fairly easy now, with the internet, to read a lot about infants — what they need, what they don’t need, how to provide the best environment for them, how to respond to their cries and fusses and so on. Scientific research has blossomed over the past decades, and many parenting styles of our parents’ day have been proven to be almost barbaric. Figure out how to both be yourself and provide your infant with the love, attention, and healthy environment that s/he desperately needs. Those who say, “Well, I turned out all right! The way my parents did it will work for me,” don’t recognize the many problems, physical, mental, and emotional health risks they faced or will face because of how they were raised. If you can be firmly rooted in who you are, you will find that you can intuit the right decisions as you live with your baby. You will make mistakes, but as you relax, slow down, empower yourself with good information, and have confidence in who you are, you can correct your course as you go along. In this way, no permanent damage is done. Your child responds to you “being yourself.” Trying to parent in some way that isn’t coming from your deepest principles is confusing for your child, and damaging long-term. Being yourself sounds so simple. But in order to understand this principle from a Taoist perspective,we have to try to understand what makes us who we are, and how much of that is our personal, conscious choice and how much of it is our cultural, social, economic, familial, and educational conditioning. In Tai Chi, you strive to find harmony and oneness with your own chi, or vital energy, through physical movement, breathing, and meditation. There is a particular flow to it, a pattern that arises spontaneously from your own internal energy, linked with the Universal Mind or the Tao. A great many practices can help you get in touch with who you really are, beyond your ideas, philosophies, appearance, moods, or stages. For some, sitting meditation is the best way to do this. Before I had my children, I did several hours of sitting meditation every day for about four years. I was fortunate to be working for a spiritual-social service mission that allowed me to do this, and to have the right diet and yoga postures to keep me in balance. I am so grateful for that time. I realize that very few people these days have the luxury to take that much time to “find themselves,” to get rooted in their spiritual being before becoming a parent — yet an important part of the reason for this blog is to show that much of what I learned and practice in my everyday life I learned directly from my children. They have been my best teachers. My previous meditation experience taught me about relaxing and slowing down (Principles 1 and 2), and allowed me to see beforehand, the potential of these two new child-teachers that came into my life. I saw that if I approached parenthood with this attitude, I wouldn’t be “losing myself” in the mundane world; rather, I would continue to find myself with my children’s help. They would mirror for me, and if I could be humble enough to accept what I saw there even when it was not what I wished it to be, there would be a tremendous amount I could learn. I could see where various kinds of conditioning — even my spiritual teachings — created prejudices and pre-conceived notions. I could see the places where my walk didn’t match my talk, where my own childhood and familial patterning ran my behavior, and I could find other, more productive choices. My children gleefully blew apart my self-absorption, ego, and attachments. They were masters at deconstructing the walls around my true Self, if I would only let them. I learned from my children what true devotion is. I had the opportunity to learn all about attachment and non-attachment, and how radically different the true meaning of these concepts is from what I had thought about them in the quiet of my single-minded meditation. For with children comes great attachment, and you can see how important that is: countless scientific studies have proven that it is virtually essential for life. Without attachment, infants can and often do die. I discovered as a parent that the aim of spirituality was not to continually detach from everything, but rather to expand your circle of attachment so that it gradually becomes so wide it encompasses all of the universe. This is what leads to true devotion to God — not giving up or pushing away the things and people we love. And then, just when this idea takes root, you have to learn to let your children go on to their own lives and destinies. You have to let loved ones go to their death. If during this process you are not aware of your true self — a unique individual, and yet connected to the far greater whole of creation — you get caught up in the drama of the process, attached to the results rather than the core, and you lose track of who you are. Being yourself means being genuinely what and who you are at this moment. Children have a finely tuned radar for hypocrisy. You can try to say one thing and be another, but eventually you won’t get away with it. You can try to make your children be what you are not, but the result can be disastrous. You can try to pretend you are incapable of being wrong, you have no faults, and are always right, but in the end you will be exposed.